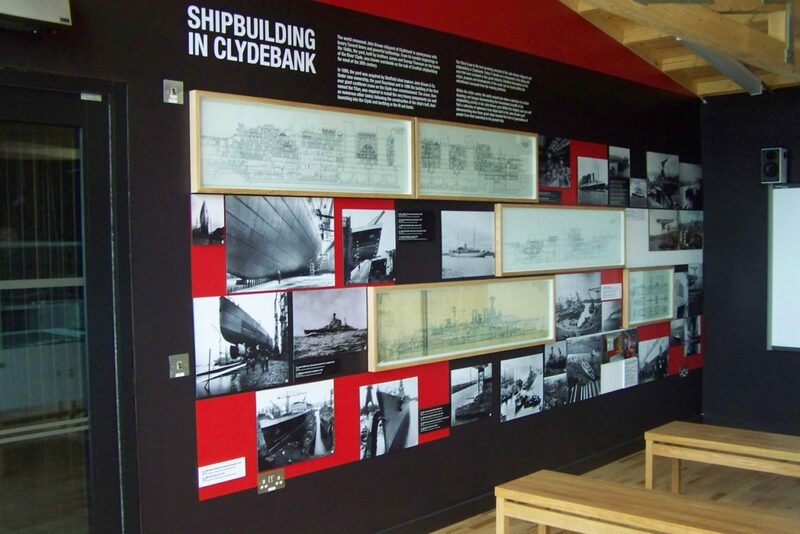 Following the success of the Titan Crane restoration project which Collective Architecture completed in 2007, Clydebank Re-built commissioned a small visitor centre to augment the site. This was to house an exhibition space, seating, learning area and ticket/reception area. A smart board was to be incorporated with seating to allow film showings. Hot drink facilities were to be provided. 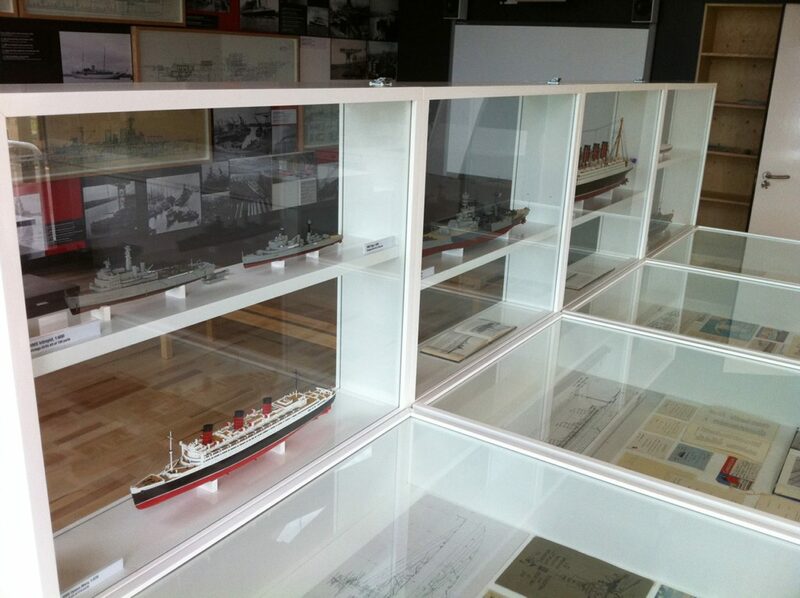 Collective Architecture was also asked to source and curate an exhibition relating to the Crane and John Brown shipyard . 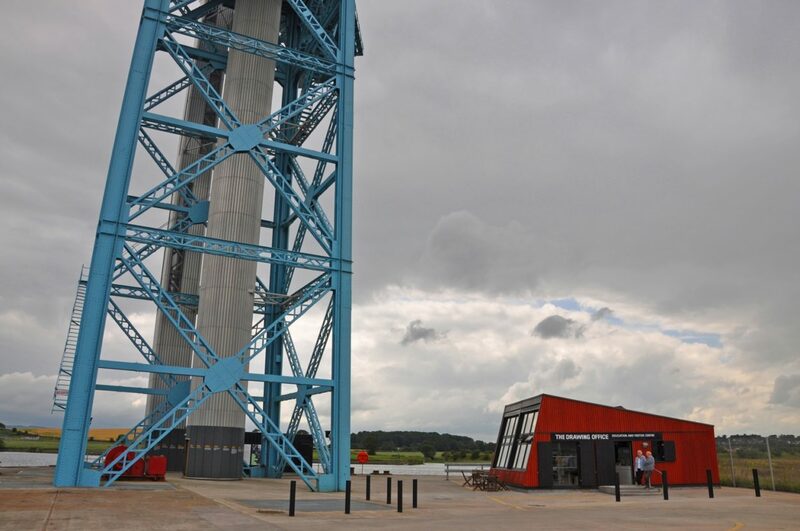 The visitor centre should act as a gateway to the Titan Crane and provide a historical introduction to both the Crane and the ships it built. 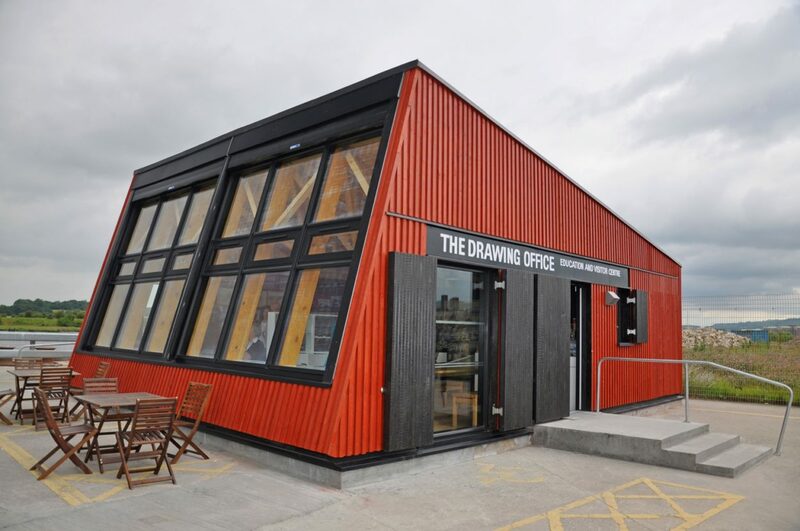 The building was constructed from timber, which forms both the structure and cladding. The roof is single pitched, raised towards the Crane. Trusses are exposed to reflect the structural nature of the Crane. The North East elevation is a backwards sloping glass curtain wall which will allow dramatic views up to the jib. 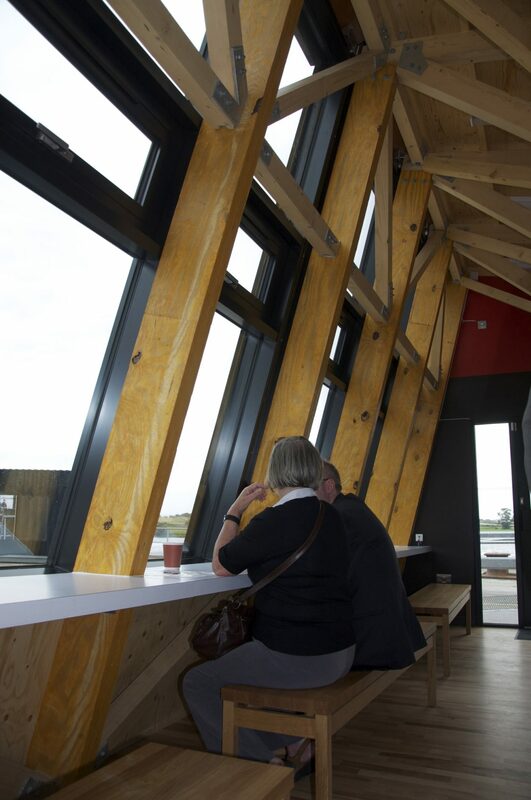 This creates a visual and conceptual link between the visitor centre and the structure it serves.The angular geometric form of the building is reminiscent of the huge plates of steel and structures lifted by the crane in its operational life. The vertical timber cladding is painted a strong rust red with contrasting black shutters. 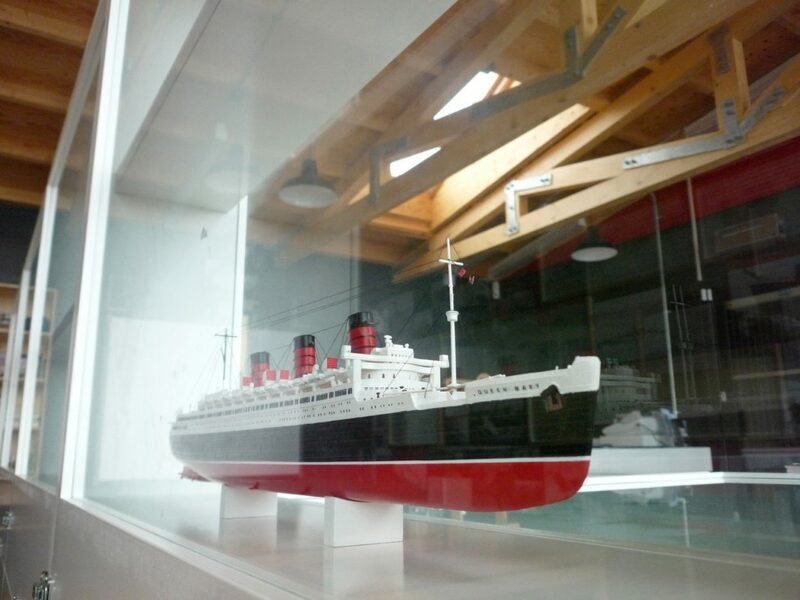 This, with the black,white and red of the interior, reflects the colours favoured by the Cunard shipping line, whose finest ships were constructed in the adjacent quays. Inside, the building is divided between one large public space under the most elevated parts of the roof and two smaller service rooms. The main space has been fully fitted out to Collective Architecture’s design. Collective Architecture worked with local artist, Toby Paterson, to develop the internal decoration, curate and source material for the exhibition and design the wall displays. 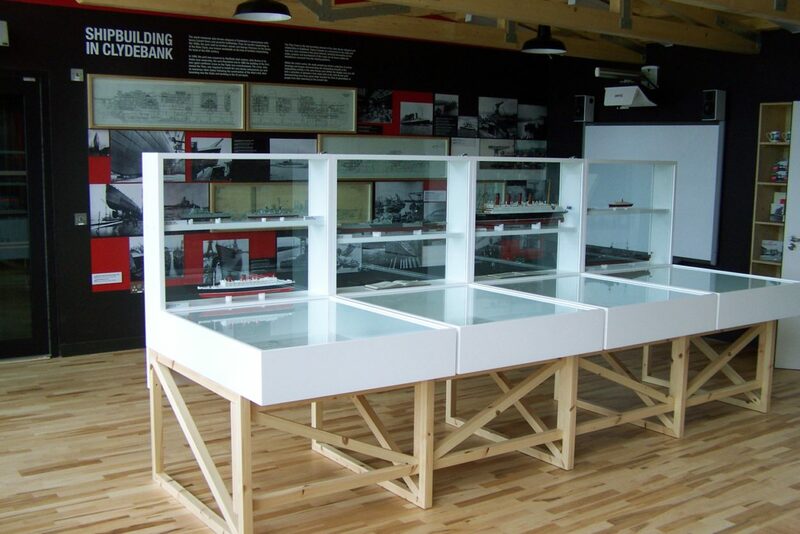 This included the design of a bespoke display cabinet to display a range of ephemera and models of ships relating to those built in the John Brown shipyard.